Great trainers are a runner’s best friend. Get it right and you won’t notice them at all as you run. These might not rank highly in the style stakes, but when it comes to comfort, these are leading the field. 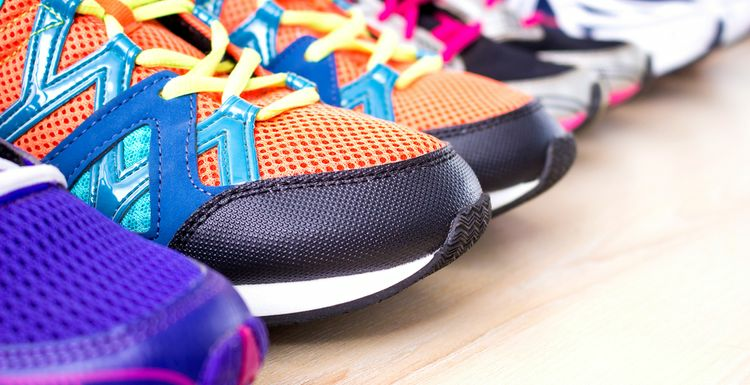 These offer a whopping 30% more cushioning than your average running shoe. Mainly down to their BioMoGo midsole which Brooks claims 'adapts to your stride'. For the seasoned runner looking for a speed shoe that still gives a level of support, these are a great buy – though they are a pricey option. They are so light they are practically weightless. A whole lot of research went into these shoes. These are a great pair of shoes for beginner runners. Reliable, comfortable and worn by Sir Mo Farah for training, it’s hard to find fault. Laceless trainers can take some getting used to, but if you’re runner who takes style seriously, then these are the shoes for you! These trainers now boast BOOST technology, which gives cushioning, boost and durability. This one gets the thumbs up from seasoned runners. Mile after mile, these offer the comfort you want and still maintain the speed you need. A light shoe, these work well for longer distances. Is there a brooks ghost 10 out now too? What are thoughts on this, not as good as the 9?